1. Postpartum style tips. I realize this doesn't apply to many of my readers, but figure some of you might be interested! I'm amazed at how quickly the body can recover from such a huge, life-altering event, but that doesn't mean that your body is ever going to go back to what it was...which is totally and completely worth it. I appreciate these style tips which give great ideas for still looking cute even if you feel like a breast-milk covered, ab-less scrub ;) All of the posts tagged "postpartum" on this blog are also great! 2. Happy birthday to my cousin Ashlyn (furthest on the right)! Blessed to call this girl a cousin by blood and a best friend by choice. Excited to stand up as co-matron of honor with my sister Julia in Ash's wedding in October! 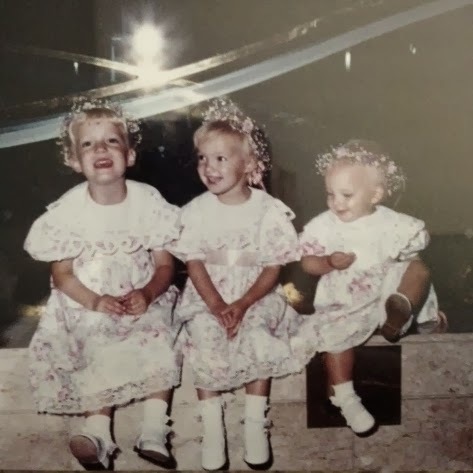 Enjoy the throwback pic of us three girls, taken at my aunt's wedding many, many years ago! 3. My cousin, of the up and coming My Red and Blue (and Ashlyn's brother! 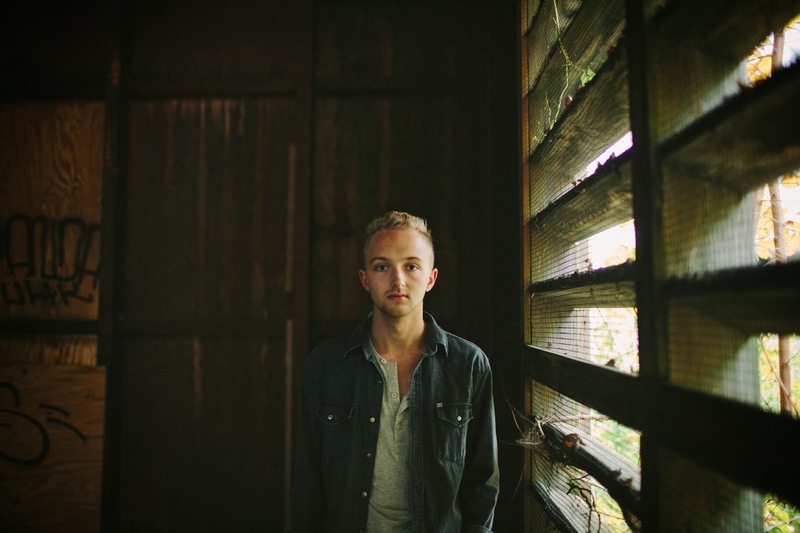 ), continues to make his name known amongst the music scene in Nashville and beyond. A few weeks ago, he opened for A Great Big World...to be honest, I didn't even realize I knew who that was until I checked out their music and noticed I do know them!! In other words, Ben's gonna be big...download his newest EP The Start so that you can say you knew him way back when! 4. When Smart Balance offered to send me their Peanut Butter Popcorn Nuggets I said yes because...well, I love free food, peanut butter, AND popcorn. I didn't commit to posting about it (and they didn't ask me to) but after trying it, I immediately emailed them and asked if I could give away a bag. Guys, I am obsessed with this stuff. Let's not talk talk about how quickly I made my way through the bag and instead discuss what it is: peanut butter popcorn that's also rolled in oats and tossed with peanuts. It's not sickly sweet like caramel corn, but it is sweet enough to satisfy a dessert craving. According to Smart Balance, it's available at Costco in the Midwest (which means I'll be begging my father-in-law to pick it up for me often! ), but I bet if enough people bug them on their website or via twitter, they might make it more widely available! To win a bag of your own and discover the goodness for yourself, leave a comment telling me what your favorite snack food is. I'll pick a random winner on Tuesday night at 8 pm Central and contact them shortly thereafter (make sure you leave your email address!). Commenter #13 was the lucky winner, picked by Random Number Generator. Liz said "Mm popcorn! I love, love, love popcorn to snack on, and also love veggie straws!"